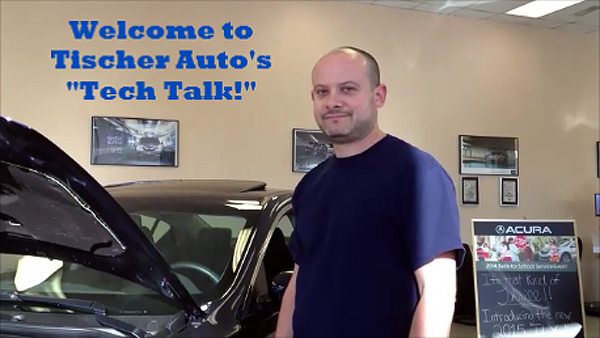 Today we are sharing a recent video that will be the first in a series called, “Tech Talk.” On Tech Talk, we will interview Tischer Auto Technicians on topics that will assist you, the driver, to understand more about your car and basic car maintenance. Our Acura Master Technician, Justin, details what to do when your “check engine” light appears. This can be an extremely stressful and frustrating alert for car drivers. Here’s what you need to know (in case you don’t watch the video). Your check engine light will appear when the car computer has detected a sensor that is out of range. The check engine light can appear for something as simple as a loose gas cap, or be an indication of a more serious issue. While we understand today’s drivers are pressed for time, the best thing you can do is bring your car in to your local dealership for a diagnostic assessment. When you bring your vehicle in for a diagnostic test, a scan tool will give a readout of what the computer has seen fail in the vehicle. We then go through a diagnostic checklist to pinpoint the exact cause of failure. As Justin explains, “It’s very difficult to over-maintain a car.” So, plain and simple, if you don’t want to see that danged light go off, regular service is the best medicine for your car. For example, regular oil changes and transmission service are some of the least expensive car maintenance options which protect the most expensive parts of your car. As we stated earlier, we know today’s drivers are pressed for time, so making the time to maintain your car will not only prolong its life, but will also save you money over time and keep that much-hated check engine light from driving you bonkers. For your convenience, you can easily schedule a maintenance appointment for your vehicle directly through our website. Choose a date that works for your schedule, and we’ll be happy to help you out. Please let us know what you think of the video—you can reach out to us on Facebook or Twitter, and please share this video with others. For years, drivers have been hearing the slogan, “Get an oil change every three months or 3,000 miles.” Then they find themselves driving to the local lube shop to get the oil changed just like clockwork. But, the reality of it is the requirement to change your vehicle’s oil every 3,000 miles is a myth. In this first of a two-part blog, we’re going to begin to dispel that myth to set the record straight. Today, oil chemistry and engine technologies have advanced tremendously, but you’d never know it from the quick-change behavior of American car owners. The majority of automakers today will tell you that oil changes can be performed at either 7,500 or 10,000 miles, and some vehicles can even go as high as 15,000 miles between changes. Driven by consumerism, lube centers thrive on the 3,000-mile myth to bring in business day in and day out. However, little consideration is given to car owners who are spending millions of dollars unnecessarily, which in turn creates more oil waste and drives up the prices of a depleting commodity. This wasteful cycle continues largely because the automotive service industry, while fully aware of the technological advances, continues to preach the “3,000-mile gospel” as a way to keep the service bays busy. As a result, even the most economy-minded owners are dumping their engine oil twice as often as their service manuals recommend. Oil experts, mechanics, and automakers agree that the 3,000-mile oil change slogan is a myth that needs to be busted! 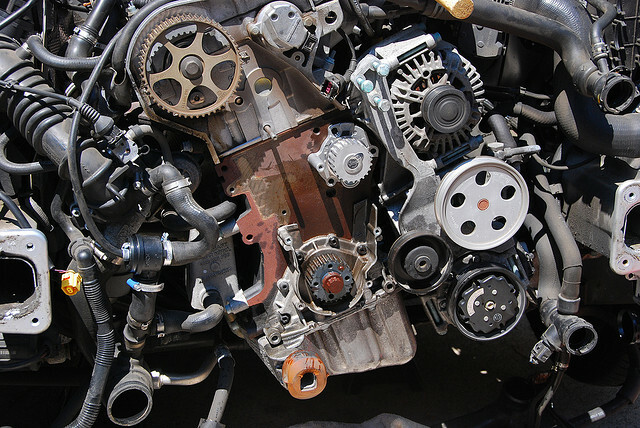 Not all of the blame for this over-servicing falls on the automotive service industry – part of it lies in our own insecurities about increasingly complicated engines that are all but inaccessible to the average driver. Under the hood of most modern cars is an engine practically encased in plastic and in some cases, the only thing you can easily access is the oil cap. 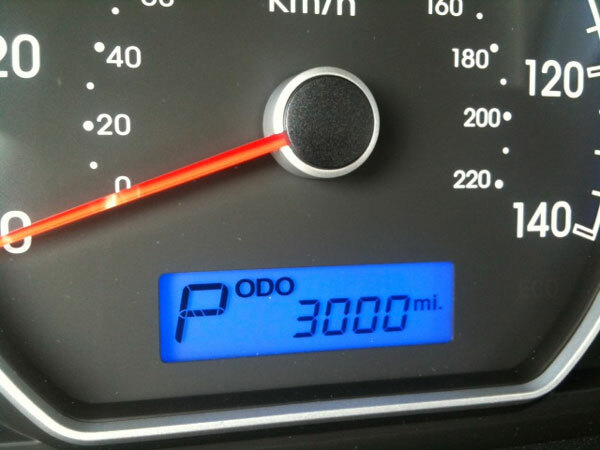 The 3,000-mile myth is also perpetuated by the quick-lube industry’s “convenient reminder” windshield sticker, which is nothing more than a highly effective marketing tactic that is used to get car owners into the service bay on a regular basis. 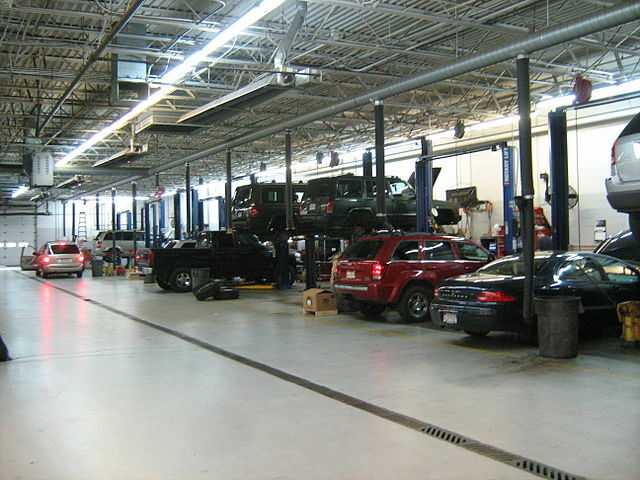 Some service departments at dealerships are also guilty of incorrectly listing the mileage for the next oil change. Despite the owner’s manual recommending oil changes at the 5,000-mile or 10,000-mile interval, you still see recommendations for 3,000-mile oil changes. Because busy car owners seldom read their owner’s manuals, most have no idea of the actual oil change interval for their cars and blindly follow the windshield reminder sticker, whether it’s an accurate indicator of the need for an oil change or not. Our oil-change addiction also comes from the erroneous argument that nearly all cars should be serviced under the schedule for driving under “severe” conditions found in the owner’s manual. On the contrary, the argument that most people drive under severe conditions is invalid. In fact, a number of automakers, including Ford and GM, offer substitute maintenance schedules for those who drive under everyday conditions. The truth of the matter is that the only ones who benefit from a 3,000-mile oil change schedule are the quick-lube outlets and dealership service departments. In our next blog, we’ll discuss the hows and whys of motor oil and how to know when it’s right to get your oil changed. Have you kept the 3,000-mile rule regimen to schedule service on your vehicle or have you been relying on the expertise of the manufacturer’s recommendations and making your own schedule? Let us know in the comments section below! Your input is very valuable to us! Cosmetic repair, especially on older vehicles, can sometimes run owners a fair amount of money. 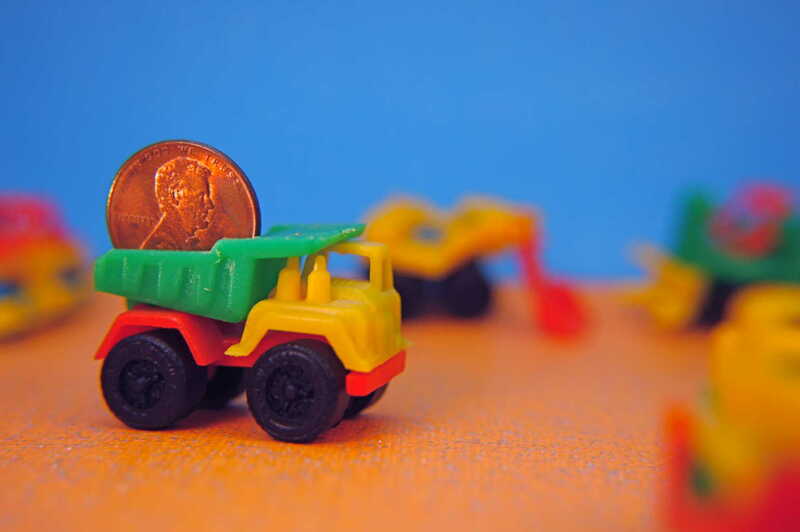 In some cases, it may cost more than the vehicle is worth (see our blog on What To Do If Your Vehicle is Declared a Total Loss). Although not all cosmetic repairs are necessary, there are certain ones that must be made in order for vehicles to remain street-legal, to pass inspection in certain states, and to avoid a police-issued repair order. Below are some of the most essential cosmetic repairs that need to be done should the situation arise. Cracked or Chipped Windshields – Despite the fact that you may be able to see out of a cracked or chipped windshield, it is still very dangerous to drive with this damage. Even a small crack or chip can easily become something much worse and more dangerous just by exposure to the elements. In cold, wet weather, water can get trapped in cracks and chips. When the temperature drops, that trapped water will freeze and expand, causing the crack or chip to widen or lengthen. Over time, small areas of damage can grow to become large and dangerous obstacles that impede your vision while driving. In addition, dirt and oil from the road can get in those large cracks and cause even more vision hazards for driving. In some states, it is mandatory that the entire windshield be replaced if a crack or even a chip is in the driver’s line of vision. In those states, if the windshield is not replaced, the vehicle will not pass inspection. Head and Tail Lights – Head and tail lights are essential to the safe operation of your vehicle. When driving, almost all of your decisions depend upon what you can see outside of your vehicle. Therefore, your headlights are essential when driving in inclement weather or at night. Sunlight, gravel, sand, ice, and even calcium deposits from rock salt can damage headlights and impede your ability to drive safely. Tail lights are equally important because they notify other drivers of when you are braking, turning or changing lanes, and backing up. Side-View Mirrors – As we mentioned above, your ability to see what’s happening outside of your vehicle is essential to driving safely. The ability to see on either side of your vehicle is necessary for turning, changing lanes, judging distance when parking, and safely backing up. 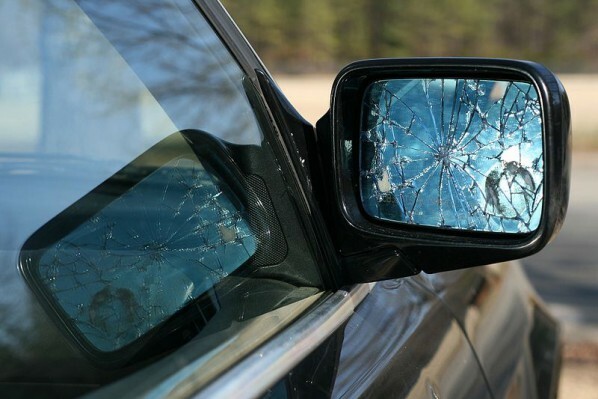 Damaged or missing side-view mirrors make your vehicle a hazard to others on the road and can result in disastrous consequences. Bumpers and Fenders – Repair to damaged bumpers and fenders must be a priority because they can obstruct your vehicle’s ability to make sharp turns, causing tire blowout. In addition, cracked or torn bumpers can be made worse by the friction of the wind while driving at high speed. This situation could result in an accident if the bumper is torn off or falls off and becomes an obstacle to others on the road. 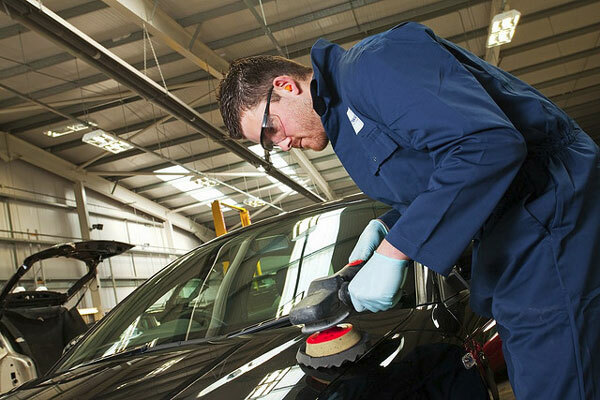 Some cosmetic repairs are just that – they make your vehicle aesthetically pleasing and help maintain the vehicle’s resale value. But others are essential to your safety and the safety of others, as well as your ability to keep your vehicle legally on the road. We highly recommend making the repairs listed above as soon as possible. In addition, it is advised that you research what other repairs are necessary in your state for your vehicle to remain on the road legally. Let us know in the comments section if you think there are any essential repairs we may have missed or share any past experiences in having to get these repairs done. We always appreciate your input!